Microsoft has re-opened the Skip Ahead ring for Windows Insiders with a new build from the 19H1 branch alongside a new Redstone 5 build for Fast Ring Insiders. 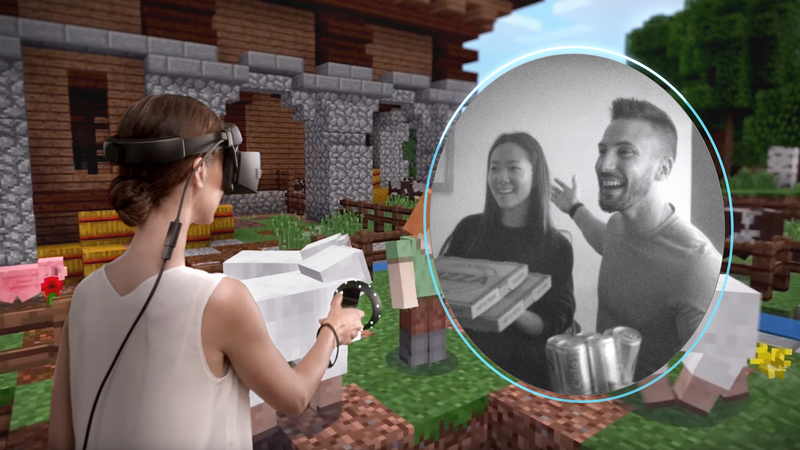 These builds come with a new Mixed Reality Flashlight feature that allows a quick peek at the outside world without having to remove the headset. Also included are a slew of improvements to Microsoft Edge, time accuracy, Kiosk Setup, and new update experiences. Microsoft has released new Windows 10 builds for Windows Insiders in the Fast and Skip Ahead rings. With this release, Skip Ahead moves to the next feature update for Windows 10, 19H1, and will receive builds from the RS_PRERELEASE branch. New Redstone 5 builds will come to Fast Ring Insiders from the RS5_RELEASE branch. The current releases include Build 17723 for Redstone 5 Fast Ring Insiders and Build 18204 for Skip Ahead Insiders. The main highlight of these builds is a new feature called Mixed Reality Flashlight. This enables the user to have a peek into the physical environment without having to remove the headset or set aside the controllers. Flashlight can be invoked via the Start Menu or Cortana, which opens a low-latency pass-through camera feed connected to the controller. These builds also focus on improvements to Microsoft Edge with support for new Edge Group Policies and Unicode 11 emojis. There is also support for leap second to keep UTC in sync with mean solar time. An improved kiosk setup (aka assigned access) is now available, which also brings support for Microsoft Edge to work in kiosk mode. Microsoft is also updating its reboot logic to adapt to the PC's usage. A trained predictive model can know whether a device is free for a reboot or the user has just gone to pick up a cup of coffee. Microsoft says that it has seen promising results on internal devices and can update the model directly via the cloud. For a full list of improvements and changes, be sure to check out the Windows Blog source link below.